25+ WordPress Mobile Themes And Plugins – Want A Mobile-Friendly Site? WordPress Mobile themes have become quite popular and for the right reasons. It is quite obvious that the trend is towards that all websites should look fabulous regardless of whether the user is using an ordinary PC or a mobile device. It is of course the onrushing strong interest in iPads, iPhones, smartphones and other new tablets with “muscles” in size to a desktop computer. It is certainly crucial that you do not fall behind and lose traffic on your website because your competitors get ahead in this mobile website race. Programmers and developers are making mobile website versions. WordPress is the most dominant CMS and publishing platform today and web developers have been creating WordPress mobile themes and plugins with mobile features for quite some time. Thanks to their efforts, you can easily create your own mobile ready WordPress site with fresh design and good user friendly layout. You have to be serious about mobile surfers if you want to present your business online. A dedicated WordPress theme for mobile is designed to prepare your business website for the mobile future. You can also use responsive WordPress themes and I have decided to add some of them in this post. The best choice depends on your needs. In some cases, a responsive theme will give a better correlation between your traditional and mobile presentation. A responsive solution often is simpler from a maintenance perspective, as well. On the other hand, a WordPress mobile theme will give complete control of the mobile experience without impacting the Main Site Design. A well suited responsive WordPress plugin can also be helpful if you want to ad special features and user experience to your mobile website. In this article, we are showcasing some of the best Responsive WordPress themes, regular mobile themes and plugins to help you pick the right solution for your site. This mobile theme is worth considering if you are looking for a clean design and a feature rich solution. The developers have been successful with 3 other themes before this and they have excellent support. I really like this mobile theme. It works alongside your desktop site and it has a clean design. Some of the nice features: Web App install, touch/swipe gallery, multiple colors etc. I think this package with two themes in ONE deserves to be mentioned in this list. The package consists of the two popular mobile themes Utimate and Slate. They have a lot of gallery options, page templates and shortcodes and tons of useful features. This is a powerful theme and I really like the feature that allows visitors to add a web app icon on their iPhone. Hero will work alongside you WordPress theme and I like the simple design and the useful functionality. 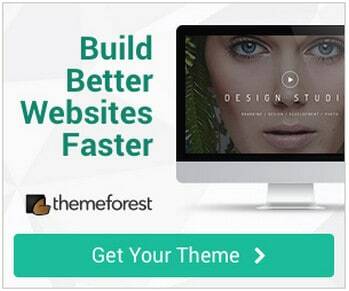 This theme has a truck-load of features that will allow you to build the website you want. It has nice navigation and a grid based layout. Spartan full featured theme that will make you site mobile friendly and serve you with good customization options. Provocateur° is a WP mobile theme build in jQuery Mobile, HTML5 and CSS3. It is created to look good on mobile devices. This is an advanced, clean designed and easy to use mobile WP theme. It has a beautiful retro/vintage look. Mobit is a nice mobile theme with lots of pages and customization features. Metro is fully responsive with Bootstrap 2.1 and it is built with HTML5 and CSS3. It has useful features and it has 13 free metro tiles and 24 real Metro Colors, the Contact Form 7 Plugin, multiple Photo Galleries and more. Tiger is a Retina Ready WordPress mobile theme build with HTML5. It is ready for Google Web Font, has a various pages available and tons of other awesome features. Mobilize is a mobile WP theme with lots of features. The homepage has a touch optimized responsive slider , social icons, touch optimized gallery, contact form, blog with featured images and featured videos, lots of shortcodes and more. Side is a cute mobile theme. You will get more than 100 retina icons, retina elements and retina graphics. You can automatically hides the navigation bar in landscape mode, and it comes with PSD file and a good documentation. AxiaMobile mobile theme is build in HTML5 and CSS3. It is created for mobile devices. It has a nice clean design! WOW ! mySite is a WordPress mobile theme optimized with amazing customization options. It is perfect for both corporate and personal use and it is easy to handle. Stacker is a nice mobile WordPress theme with a simple but beautiful layout and with a lot of useful features. My Mobile Page is a modern WordPress Theme with a minimal design. I like this modern look and the cool features. Deep Focus is a slick portfolio theme that expands on some of their previous gallery themes such as ePhoto and eGallery. With this theme you can turn your WordPress blog into a fully functional online photo gallery while still maintaining all of the features of a normal blog. Photographers will also be pleased to hear that photos are no longer cropped on post pages, making the theme acceptable for both landscape and portrait images. 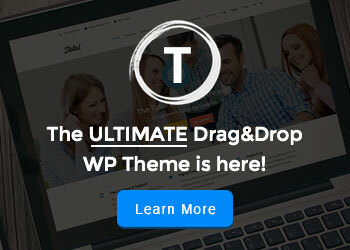 This theme for WordPress is one of the most popular themes right now. It looks good on mobile devices and it has so many powerful options. No wonder it is a best selling theme. CHAMELEON is a very nice and minimalistic theme with endless customization possibilities. It also has a beautiful responsive layout that makes it attractive for mobile. BigBang is one of the WordPress themes I find quite attracktive. It has a clean responsive theme with lots of layout, post and page formats. It has features that are useful for profesional websites like photostream widgets, social icons, Google typography, flex slider, short codes and much more. This is one of the most popular themes in the WordPress directory. It is called Responsive and it is a free mobile ready WordPress theme. The theme is free, but it is quite feature rich with 9 Page Templates, 11 Widget Areas, 6 Template Layouts, 4 Menu Positions and more. Besides using dedicated WordPress mobile themes amd responsive WordPress themes it is also possible to get mobile features from WordPress plugins. We have listed a few here that I find useful to give you a teaser. Jetpack is a powerful plugin package with tons of useful features. It has a mobile theme with one click setup. It is an easy way to a mobile ready website, but it has only few customization options. I find this plugin quite interesting for making you website mobile ready. It that allows you to switch your theme, and manage the appearance of your website on a mobile devices. The DudaMobile is a useful WordPress plugin that makes it easy to convert your WordPress website into a mobile-friendly site. It’s fast, free and easy. Works with all WordPress themes including websites and blogs. I find this plugin quite useful as it gives you control of witch theme you like to use for presenting your website on different mobile devices. WordPress Mobile Redirect/Detect is a small plugin that can detect most of popular internet enabled mobile devices and redirect according to URL you provide. It is also easy to customize redirect URL ’s and devices. There is a counter on the right of every device name, so you know how many users are redirected. Please type in full URL . To disable redirect, just delete URL . To enable user to view desktop site from mobile device, just make a normal link from mobile site to desktop site, plugin will automatically recognize that, and make sure that user is not redirected further. I would like to suggest one of the best WooCommerce supported multipurpose as well as fully compatible with any device WordPress theme which is Kosmic. I’ve been using Jumpmobi.com inspire theme, for a while now. It’s great I got the developer license which is pricey but it’s totally paid for itself with how much I can sell the websites for because they are so feature rich! I definitely think this should be added in there! Thanks for sharing these themes. You have a nice collection of responsive mobile wordpress themes. Thanks for sharing these themes. Thanks for some other informative blog. Where else could I get that type of information written in such an ideal means? Duda Mobile is complete crap. Not free at all, packed with ads and spam. Will take over the non-mobile version of your site and add its own popups. Thanks for sharing you insights. I can see that the plugin still has good ratings on WordPress.org – does anyone else have comments about this? Wow that’s pretty awesome. You have a nice collection of responsive mobile wordpress themes. Thanks for sharing these themes. I am working on a responsive website but there is a problem in it. If anyone can help then it will be grt. See the above site, if you see this in ipad landscape version then the footer is leaving some gap at bottom, how can we fix this /? How can I user my theme for mobile device, just add more CSS? Please check out FirstPageMobile.com. WP plugin that allows you to create a mobile home page for your site in minutes. I use to have the WordPress Mobile Pack installed on my blog, then I changed over to WP-Touch Pro. But I recently de-activated it so that I could save more space for the other WordPress plugins that I use. Nice collection. I’m surprised you left out Itheme2. Any reason for that? For web design, hosting, domain names, websites, search engine optimisations, small businesses, advertising this is good template. Having a good template is very important and I also use Jetpack. Some really good looking templates here, hope to see more word press posts. This is exactly what I was looking for! thank you. Excuse me, do you know mobile website plug in for online shop website with workpress? Thank you very much. It is a nice source for blog owners. I preferred to use WP-Touch. It is very well and customizable. 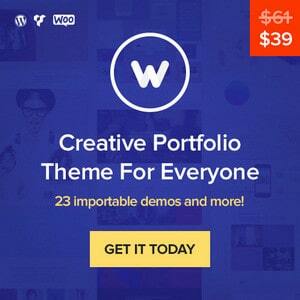 Thanks for sharing the list of theme & plugin. Thanks for the useful list. Lots of good options. As the mobile web design world continues to evolve, it is becoming more and more of a necessity to render website(s) properly on the plethora of small screens. Thanks a lot for sharing the wonderful information regarding the top 20 used WordPress Mobile Phone themes. Enjoyed watching the looks of the themes shared….. Thanks for include our theme Shutterloop 🙂 all is very cool! I would like to mention the WPJaipho plugin, which optimizes image galleries to look like an native apps. Very good theme. Thanks for share. Your welcome. I will look into your query soon, it’s a good idea. Thanks for sharing your valuable experience here. I hope this will help others make the right choice. Hey you missed mobilepress to the list. It is also a nice plugin for mobile theme. Wow. I like the Carrington. It’s actually installed on my WP blog.